oh, sweet joy! : All I Want For Christmas GIVEAWAY! Christmas is days away and a group of us lady bloggers wanted to get together to bless our readers in two ways. #1 - we want to give away a HUNK of stuff, stuff at the top of our own lists for Christmas to one of our readers. and #2 - introduce our readers to some of our favorite bloggers - the ones we truly love to read and interact with. Maybe you know all these ladies and maybe you don't! Either way, we've set up a super simple giveaway where you can go below and "like" these ladies facebook pages for up to SEVEN entries to win the big old lot of goodies below! Check out all the gifts + then head down to the giveaway entry where you can automatically like all the facebook pages, without ever leaving the giveaway! We'll announce a winner on the 26th, but in all seriousness - everyone wins when you are getting to know all these great blogging ladies. Merry Christmas! I love makeup and I really, really love Bobbi Brown makeup. When I was 14 and my parents finally let me wear it (like just blush and mascara) my grandma took me to get my makeup done at the Bobbi Brown counter. Such a cool grandma, right? From that day on I was hooked! I have tried other (read: less expensive) brands before but the quality can't be beat. 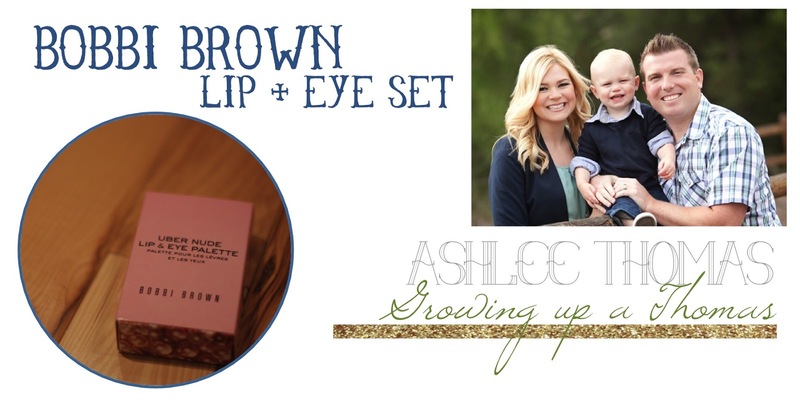 It never fails that there is always Bobbi Brown makeup on my Christmas list! Mostly because it is a bit pricey and so I ask for whatever I am out of as a gift. Plus, she always puts together the cutest little sets that are perfect for holiday gift giving - which is why I bought one to give to one of you! In the mornings when the sun is still hazy, I sneak downstairs & brew a cup of coffee. The fresh grounds pull me back to being a little girl & my mother's morning cup & then to college lecture halls & cold winter mornings & the last bit of night, when my husband has a cup before bed. It is a comfort to me, a balm to my soul, & something I wish to share with all of my friends. 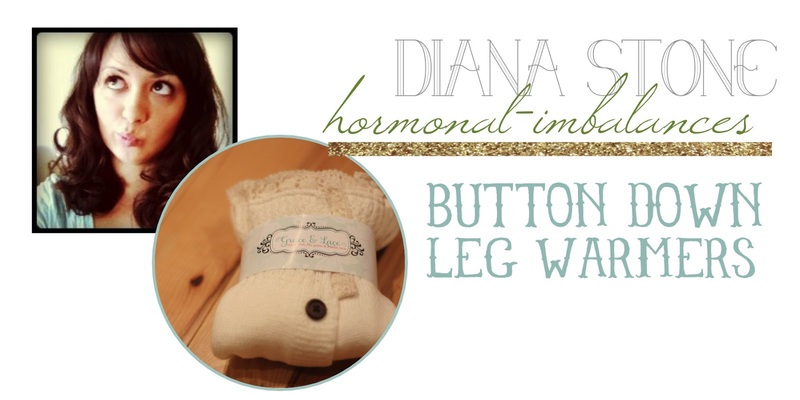 Diana from Hormonal Imbalances is giving away these super, super cute leg warmers! Ahhh. I just bought new boots and fell in love with these. I adore just looking at them, and can't wait to see them on someone! 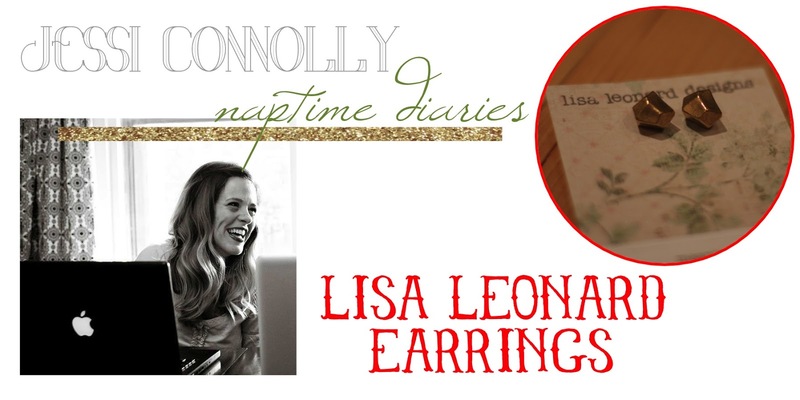 These earrings have been on my list since the second I saw them! I think they're funky, classic, casual, and dressy all at once. They seem like the perfect addition to any outfit - year round - to make you feel just that much more put together. 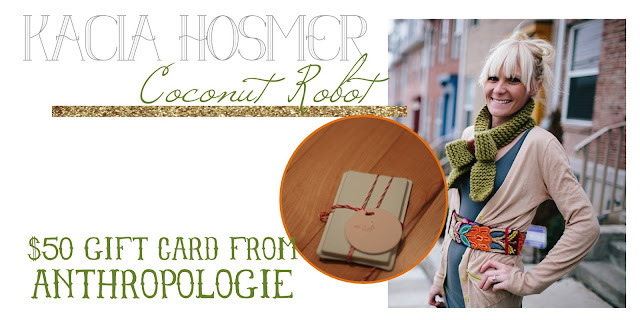 Kacia over at Coconut Robot is adding in a $50 Anthropologie Gift Card! I'm awful at gift lists. Just awful! I'm not someone that has a running list of items I'd like in my head, so gift cards speak my love language. I especially love finding unique items at Anthropologie--and gift cards give me the ability to splurge a little bit on them! I'm a firm believer that accessories make or break any outfit. Whether it's a pop of color on your hand or a neutral statement necklace, adding just a little extra detail can make the biggest difference in how "put together" you feel. I love my NS Pottery pieces and wanted to share the love with y'all. Enjoy & Merry Christmas! 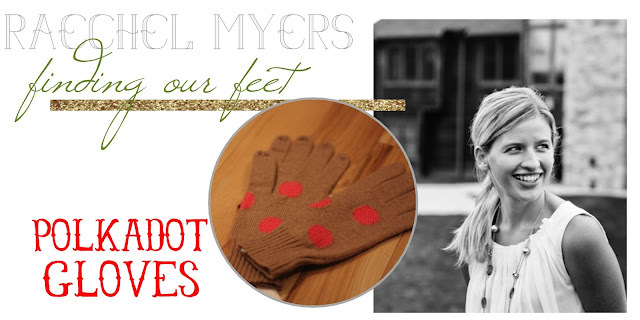 Finally, Raechel from Finding Our Feet is giving away these amazing polka dot gloves from Madewell. I'm a sucker for polka dots. And warm hands. And, well, using my iPhone with warm hands and polka dots. Alright ladies - get to entering! you this massive package of gifts! Hey there! New follower here :) Hoping to see you follow me back! 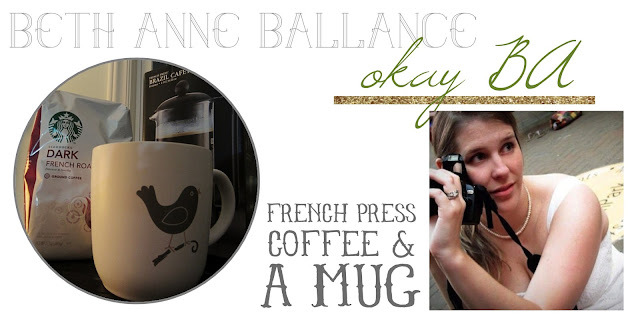 I'm loving the layout of your blog! Such cute buttons! And what an incredible giveaway! Thanks for sharing! Have a great day! That is a fun list of things! And, I did find a few new blogs...yay! What a great giveaway! 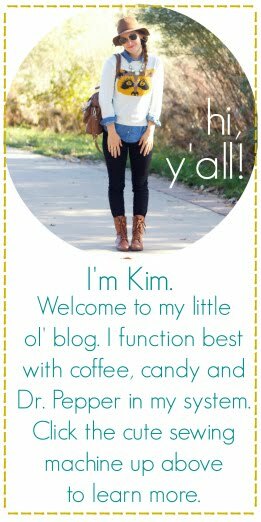 I am so excited to follow these other blogs! Oh my, what a collection! So fun! Would love to win and randomly give away parts of the prizes to strangers this holiday season! Have they announced the winner yet? If so it isn't showing up on my computer.